Renovations and remodels are common for many homes. Some are even previous warehouses, offices and others. 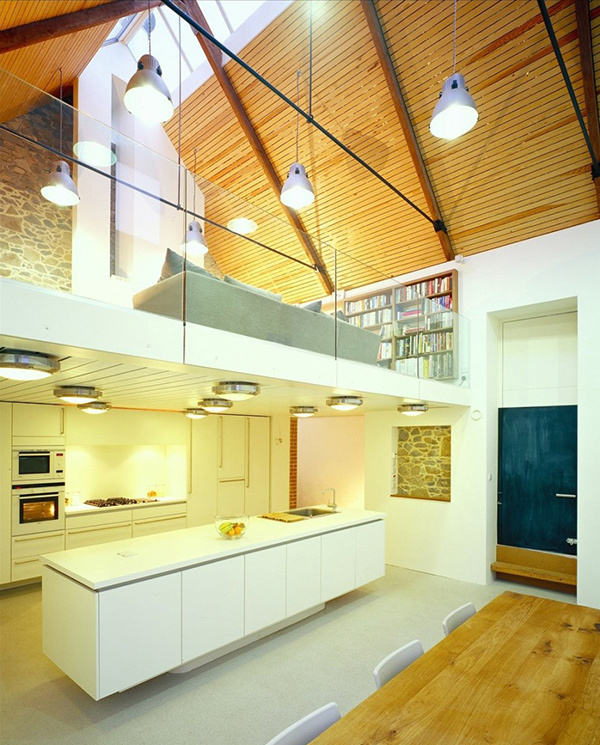 Today, we will feature a house that was remodeled from a 15th Century barn in the Island of Guernsey. The house is inspired by ‘The Nolli plan of Rome’ 1748 where it got its fluid and three-dimensional plan. On the lower level of the house is the kitchen and dining where you get a glimpse of a mezzanine with a formal living room. At the front of the house, you will see a more relaxed living and play area which opens to a terrace. Sleeping areas is found at the rear of the house linked to the living space through the entrance creating a vertical circulation. The facade of the house looks lovely and transparent. You can see here the play area and living room at the lower level and a sleeping area at the upper level. 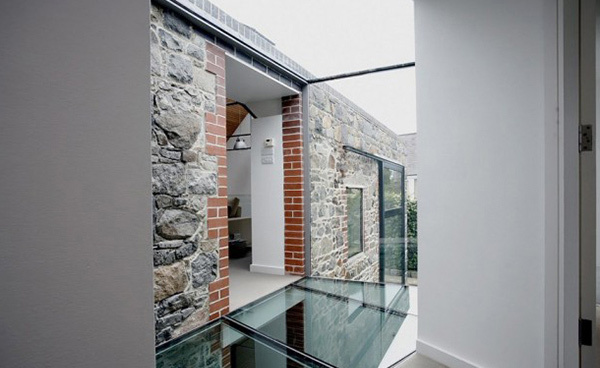 Look at the sliding glass door in this passageway and how it looked perfect with the brick walls. 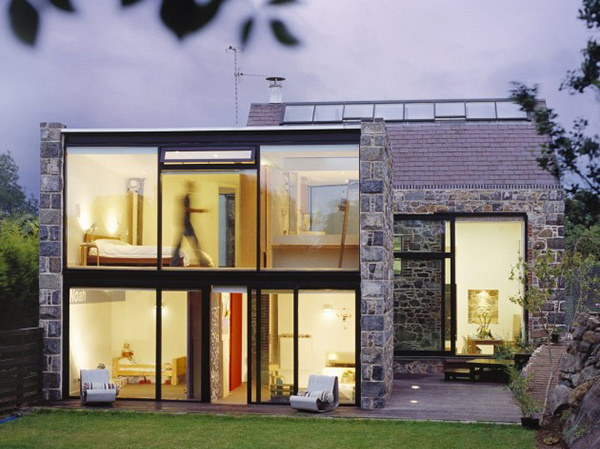 Glass panels allow the internal volume to breathe with the natural light that goes into it. One feature that made this house cozy are the plants added to it as well as the mix of materials from bricks, glass to wood. 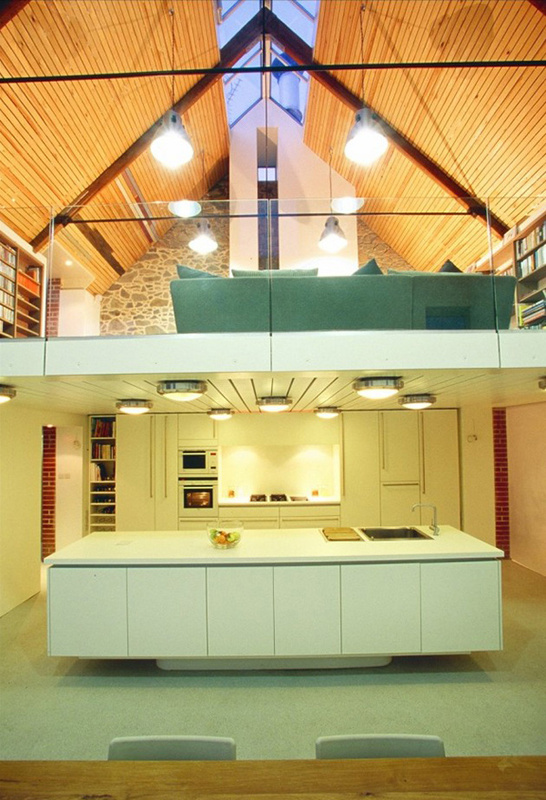 The interior of the house is not that spacious but having a mezzanine is one way to make good use of space. 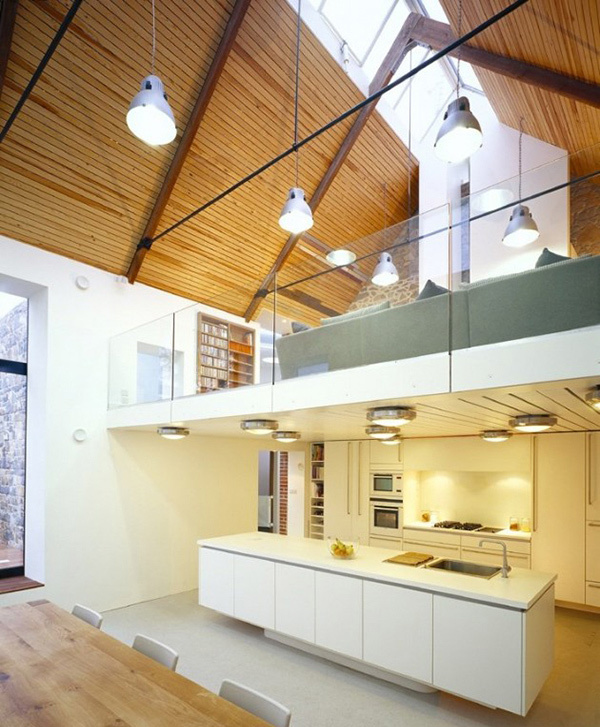 The kitchen is flooded with warm lighting and sits lovely in white. 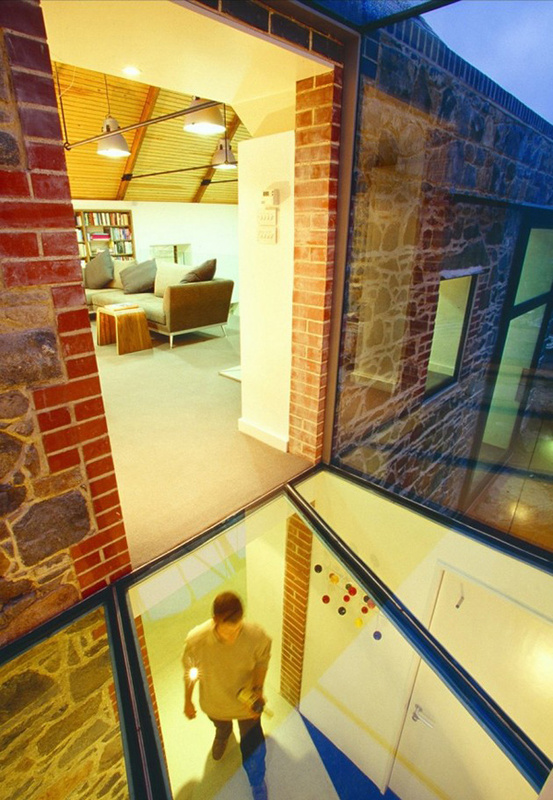 The mezzanine has glass railings on it under a sloped roof in wooden planks. This living area on the mezzanine is a perfect spot for relaxation! 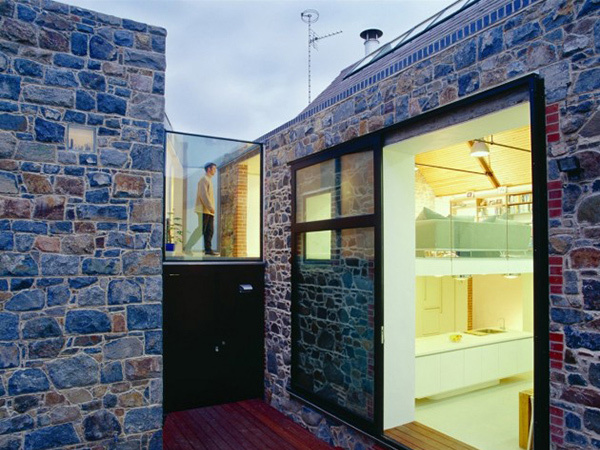 It is indeed creative and smart to use glass for the upper area to connect to spaces in the house. 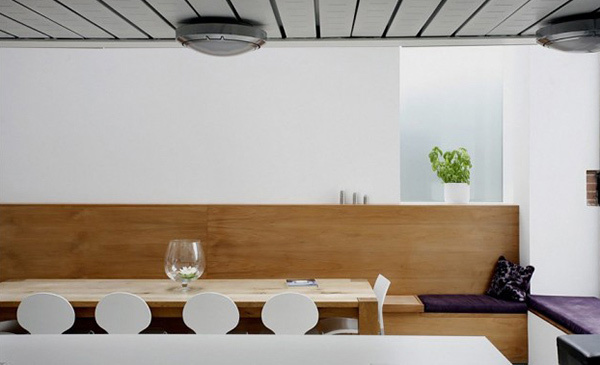 A long wooden bench for the dining area would allow group seating for a huge number of people to dine in the house. 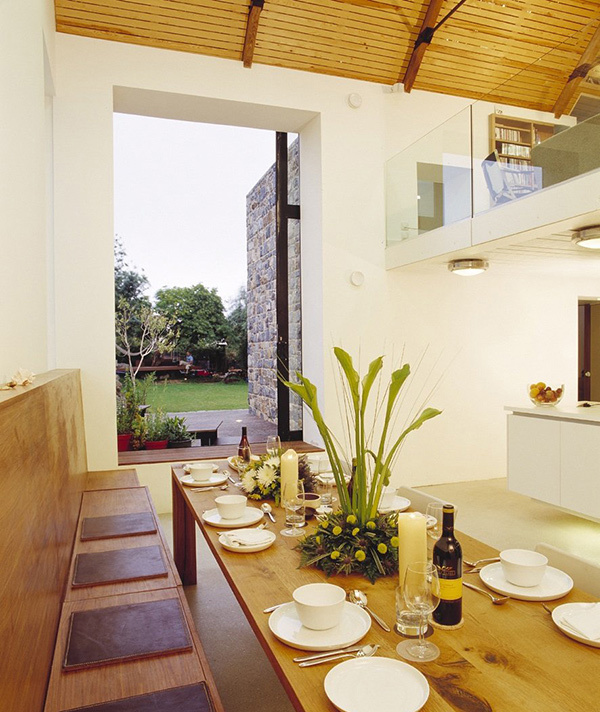 We love the centerpiece for this dining table! You are looking at the same dining area but on the other side with white modern chairs. 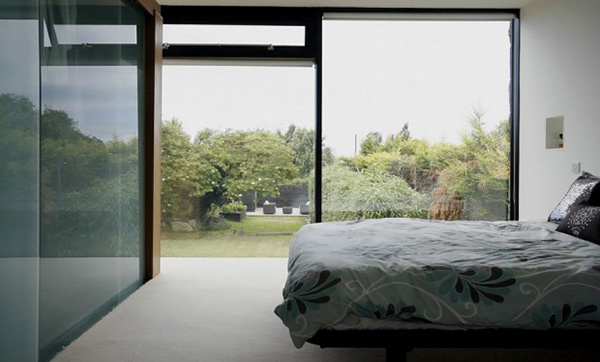 A simple bedroom that will lullaby the homeowners to sleep without distraction. Note the glass materials in it too. 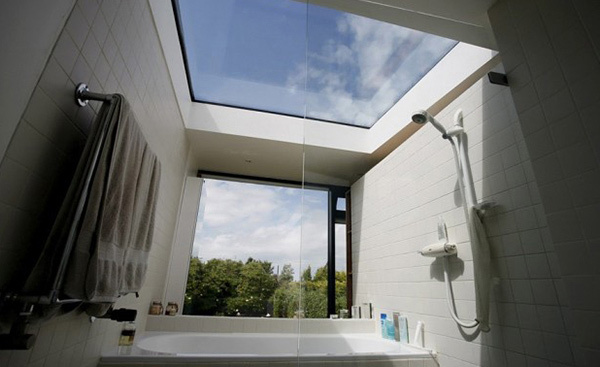 A skylight in the bathroom is just lovely and gives you the feeling of bathing under the open sky! What can you say about the remodeling done by MOOARC? We are sure you loved the new look of the 15th Century Barn which is now a cozy home! 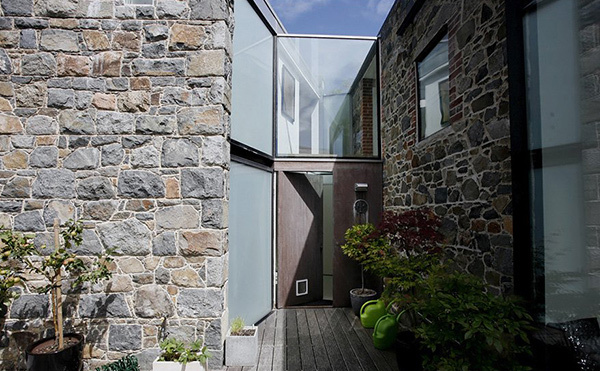 We love how the materials where mixed especially its usage of glass which is very smart and creative. We still have other homes to feature that will surely give you inspiration especially if you are planning to have a house design of your own.